To develop a national platform for pro-poor program a Memorandum of Understanding (MOU) between Benazir Income Support Programme (BISP) and Punjab Information Technology Board was signed here today for cooperation, collaboration, data sharing, software development, mobile application development, webhosting, technical advisory, business intelligence and data analytics. 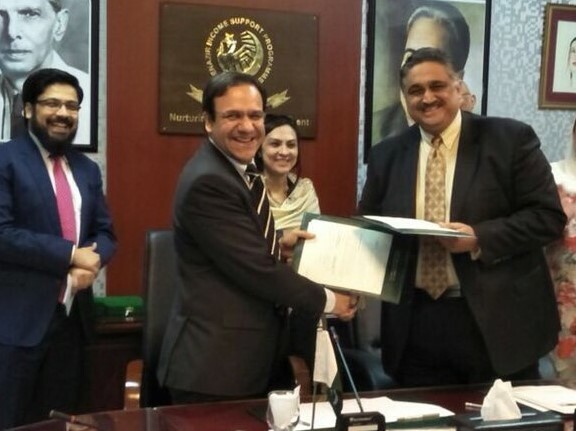 Dr. Umar Saif Chairman Punjab Information Technology Board (PITB) and Omar Hameed Khan Secretary BISP signed the MoU on behalf of their respective organisations. Chairman BISP Ms. Marvi Memon was also present on this occasion. Under National Socio Economic Register (NSER), BISP used PITB’s developed technology and conducted survey in 12 districts across Pakistan to assess poverty index through 4.1 million household details for getting overall picture while in the current phase more than four million surveys with 20 million rosters have been completed while target is expected to cross last year’s 25 million surveys. Benazir Income Support Programme (BISP) is the main social safety net programme of the Government of Pakistan whereas BISP, through PSC survey has created a socio economic database of 27 million households besides engaging in UCT (Unconditional Cash Transfer) and CCT (Conditional Cash Transfer) for its beneficiaries. BISP is responsible for the graduation from poverty of its beneficiaries and has recently initiated graduation program with ADB as financial and NRSP as implementing agency. As per MoU both the Parties will develop a cooperation framework enabling PITB to undertake analysis, design and development of software, dashboards and mobile applications, and webhosting and BISP to provide requirements, data and necessary approvals. PITB will develop mobile application to gather attendance of students from schools for the BISP Waseel-e-taleem (WeT) program, a dashboard to view reports and do analysis based on this data. National Socio-Economic Registry Survey is a major activity undertaken by BISP for which PITB will develop a mobile application for conducting of this survey. The data collected from the NSER survey will be available on an online dashboard with reports. PITB will also work with BISP to develop mobile application and dashboard to record vaccination data for newly launched CCT Immunization program. The reporting dashboard will help BISP to analyse the vaccination data. BISP’s primary duty will provide requirements, documentation and data for the development of above mentioned assignments and same for any future assignments that are mutually agreed between BISP and PITB. 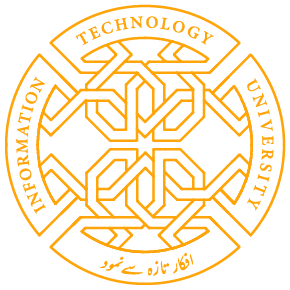 PITB will provide trainings and training materials for the software, dashboards and mobile applications developed by PITB. A progress tracking mechanism will be defined for each assignment as per the requirements and mutually agreed by BISP and PITB teams. Share the post "BISP AND PITB TO DEVELOP NATIONAL PLATFORM FOR PRO-POOR PROGRAM"